So, the day has finally arrived for me to ruffle some feathers about movies that might be just as good as the book if not better. If you missed the previous posts in the series, check them out here: part one, part two, and part three. The first thing to understand about today’s topic is that all opinions are relative. While many may agree on something, there’s no way to have everyone agree on any one thing. I think it just goes against human nature. Still, most book lovers, myself included, will agree that film versions almost always fall short of the impact the original book made. However, I do believe there are a few exceptions to this rule. 1) Frankenstein 1931. Back during a time when science fiction was not taken as seriously as it is today, during a time when science fiction films were even less regarded than the literature, a monster movie began to change that. I am not saying that this old film is actually better than the book, but I am saying that it may be more impactful than the book. It is because of this film that many people have gone back to read Mary Shelly’s original novel. There are countless social messages to be learned from watching this film and reading the book, but it was the popularity of this film that has made, even Mary Shelly, so notable and attention worthy. This film almost stands on its own as a cinematic sci-fi/horror masterpiece separate from the literary classic Shelly wrote. 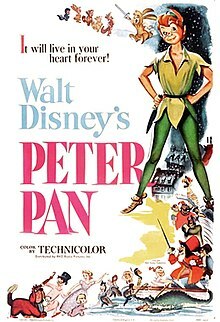 2) Disney’s Peter Pan 1953. I am not about to go on a praise bandwagon for all the stories Disney has reform to fit their fun-loving formula. However, I will give praise to their version of Peter Pan. Oddly enough, this story started out as a stage-play in 1904 (The Boy Who Wouldn’t Grow Up) and later became a novel in 1911 (Peter and Wendy). The Disney version of this story came along at a time when many children would have never been able to see it on stage and may not have been able to get a copy of the book. Plus, in traditional Disney fashion, the story was polished a bit to suit a wider audience, though some of the portrayals in the film are clearly dated and even a bit controversial (probably why I enjoy many of the newer culturally diverse or culturally accurate versions), but compared to the book, it’s light and fluffy. Just the way many of us like our children’s stories. 3) The Outsiders 1983. This is another film that I don’t actually think is better than the book, but it’s just as good and may have made a greater impact than the book. The film almost stands on its own, separate from the book, because of how it changed filmmaking. Without the success of The Outsiders film, Twilight, Hunger Games, and other teen films may not have been possible (whether you like them or not). 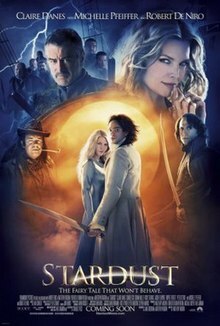 Because of this film, not only did people go out and read the original novel, they also read a lot of Robert Frost, and read and watched Gone with the Wind. 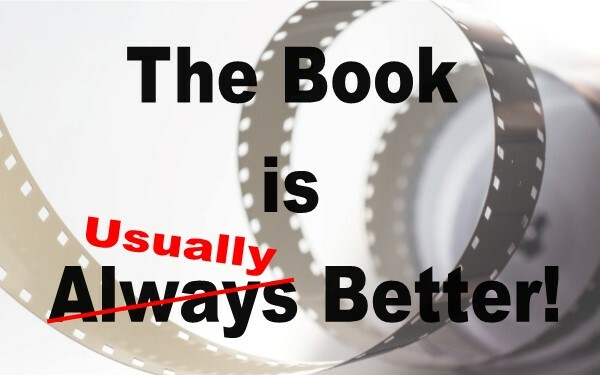 If you liked this post and or series, please consider checking out Remakes-The best and worst of books film music and more, over at The ToiBox of Words. Oh, and Joe Bonadonna has a great list of dystopian books and films at Dystopian Fiction: Part 4. I almost always like the book more than the movie, but there have been some great movie adaptations I've liked nearly as much as the novel. Great post! Excellent points Toi. Some films just bring books to the masses that wouldn’t have been read before. I think Lord of the Rings is a good example too I could never get into the books. I’ve tried several times. That's a good point. I know so many people who have and never will pick-up a comic book, yet they love the comic book movies. Toi Thomas finished her movie vs book debate on #OurAuthorGang weigh in with your opinion. Toi Thomas shares a very insightful post about books made into movies. This is part 4, be sure to read her first 3 posts. Very intertesting post, Toi. I've often discuss books made into movies with my friends. It's always a lively discussion; isn't it? On #OurAuthorGang, Toinette Thomas​concludes her 4-part series on films made from novels. Great finale, Toi, and some nice examples of books and how they were translated into films. Save for a TV mini-series back in the 1970s (which took liberties with the story), and the version with Robert DeNiro, which also took liberties, no Frankenstein film has ever really been faithful to the book. The films have become their own thing. Coppola's Dracula, which has a prologue and finale not part of the book, is to me the best and most faithful book to film version. +Joe Bonadonna Be sure to let me know when it comes out. I would love to read it. +Toi Thomas -- I will. Thank you! Toinette Thomas​ shares the movies that, while maybe not better than the book (that's always a matter of opinion LOL), took readers back to the source material. A GREAT post!! I do think most books are better, but these are wonderful choices of great movies that led people back to the original books. Great post Toi! Thanks. A good adaptation or remake should always bring you back to the source material. In an age when people watch more movies than read books, a film that makes you want to read a book sounds pretty good to me. Toi Thomas shares the last article in her book to screen debate. Great series. I tend to agree that the book is always better then the movie, because the reader is allowed to imagine more. But I'm sure there are a few exceptions, I just can't think of any at the moment. I agree. It's very rare, but there have been a few long-winded books I've read that I think would make really good movies that would probably take out some of the content from passages I skipped over when reading. Today, I​ finish my series on the Book to Screen Debate with a discussion of movies that might actually be better. #OurAuthorGang. Today in part 4 of the book to screen debate, author Toi Thomas shares with us some movies that just may be a bit better on screen than written word. You never know. The way some romance series are released with so many installments and so quickly, there could be books for all those movies (not that all Hallmark movies are romances). A very enlightening post, Toi. I always thought the book leaves more to the imagination. If anything I'll read the book first, then see the movie. I'm with you. If I can read the book first I will, but sometimes I find out after the fact, especially when it's an American film that based off a foreign title. +Toi Thomas I agree. I'm sure if any of our books would be made into film it would lose our natural essence and style of our story. Great post series Toi! Usually I like the books more than the movies with a few exception. One of them was a vampire series. I really liked the series (ran only one season) and when I met the author of the book in a group, I was looking forward to reading it. I was disappointed. In this case the movie was a whole lot better than the book. It is rare, but sometimes those in charge of the film pick up on the things that didn't work in the book and improve upon them in the movie. Great Series, Toi. I don't think I've ever seen a movie that is better than the original book, but I hope one day I do. It may or may not happen, but if you see the film first and like it, it may be difficult to love book as much. You are right, Toi, there are a few films that were better than the books! I have really enjoyed this series!! Thank you! Glad you enjoyed it. It's one of my favorite topics so far.